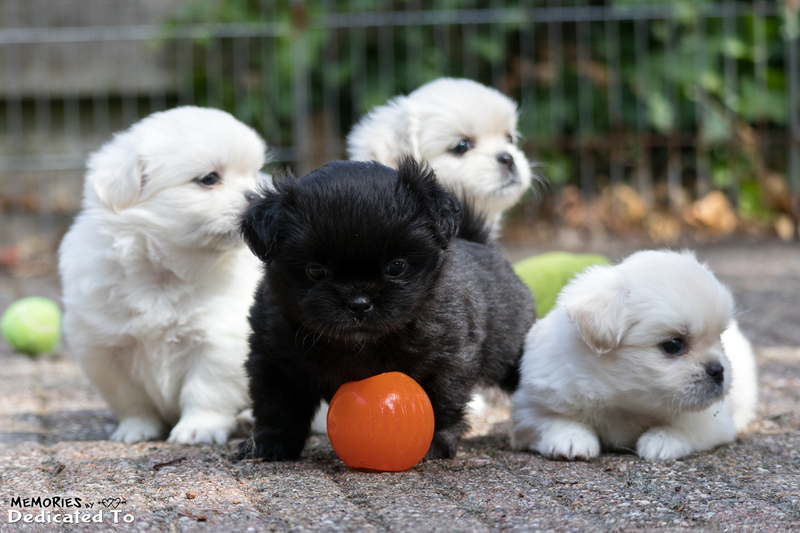 At this moment we don't have puppies available. 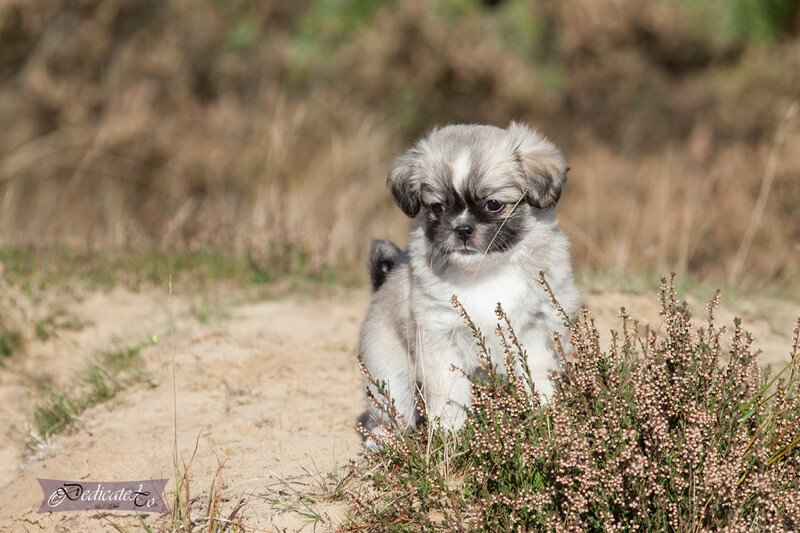 Please check our Dutch puppy page for current litter information. 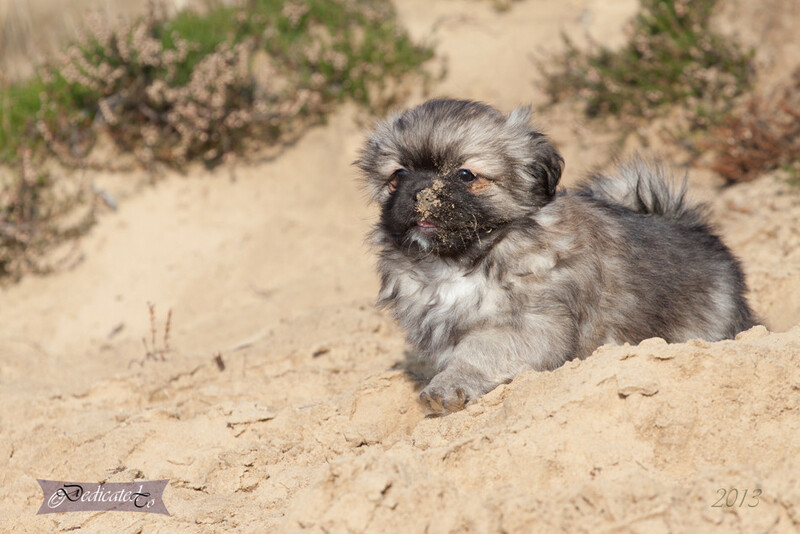 You can find the pedigree's of our tibbies on their individual pages. 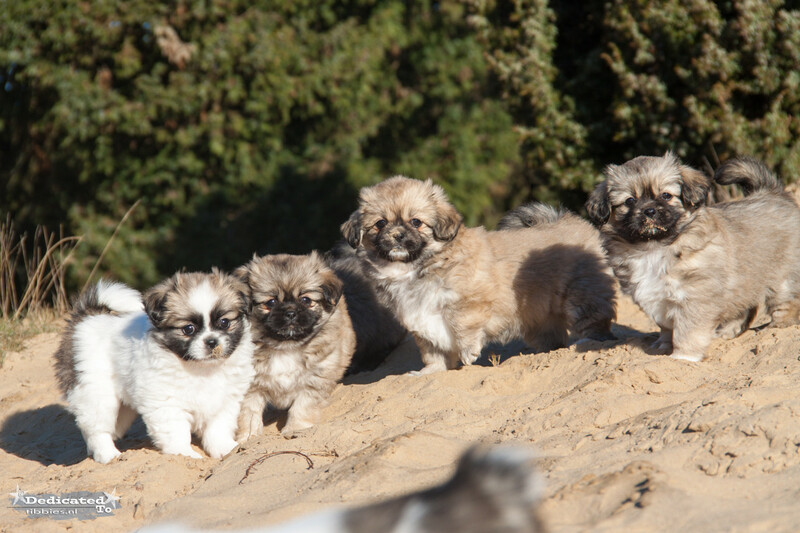 From all our breedings the parents have recent ECVO eye-test and are free from eye-diseases Pra & Cataract. 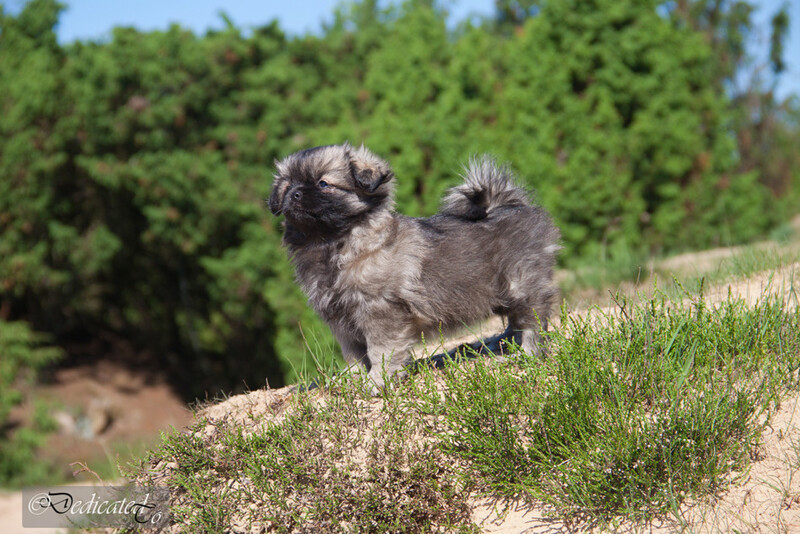 We also did the DNA test for the PRA-3 gen and all our tibbies have clear results. 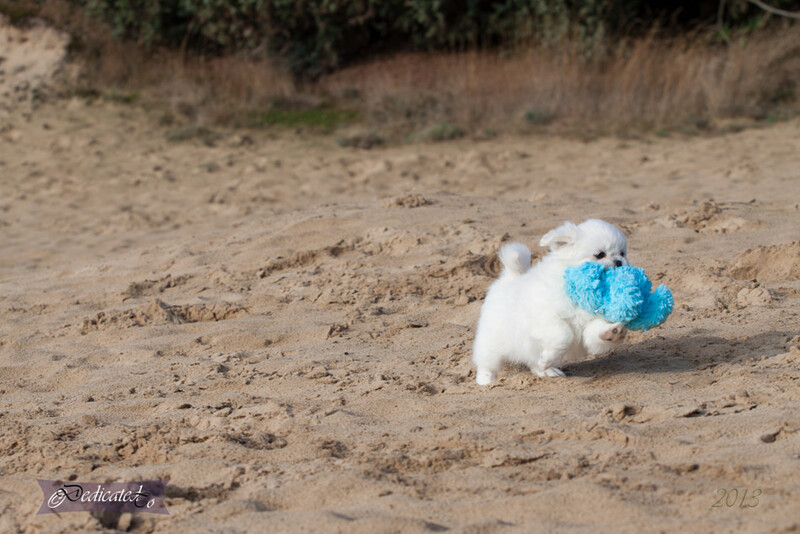 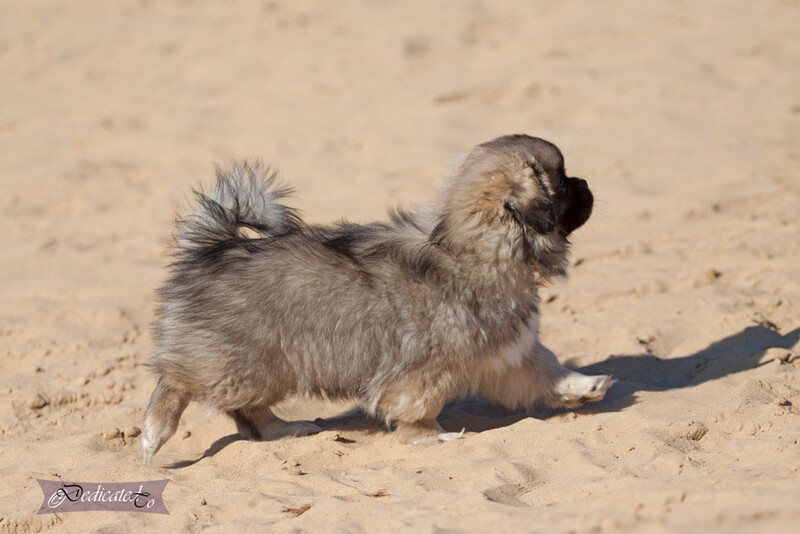 Our tibbies are also tested and free from Patella Luxation (0-0). 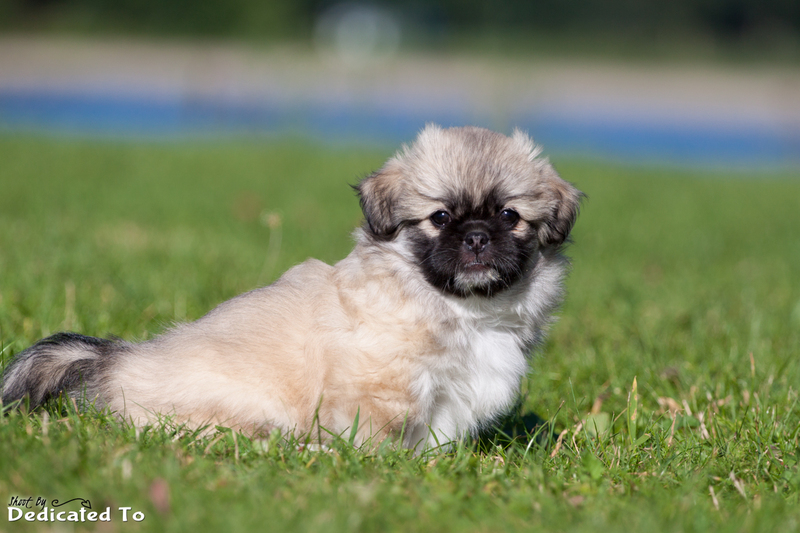 If you are interested in our future breeding plans, please do not hesitate to contact us ! 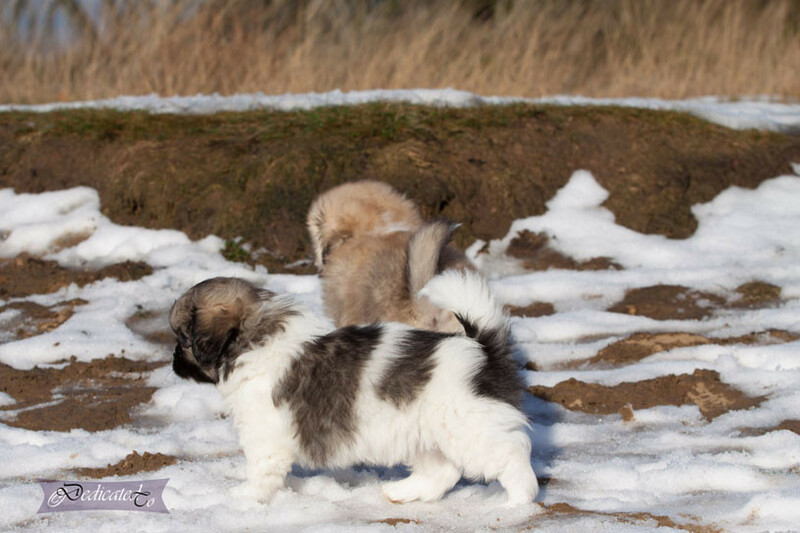 For more information about our future puppy planning please feel free to contact us by e-mail or phone. 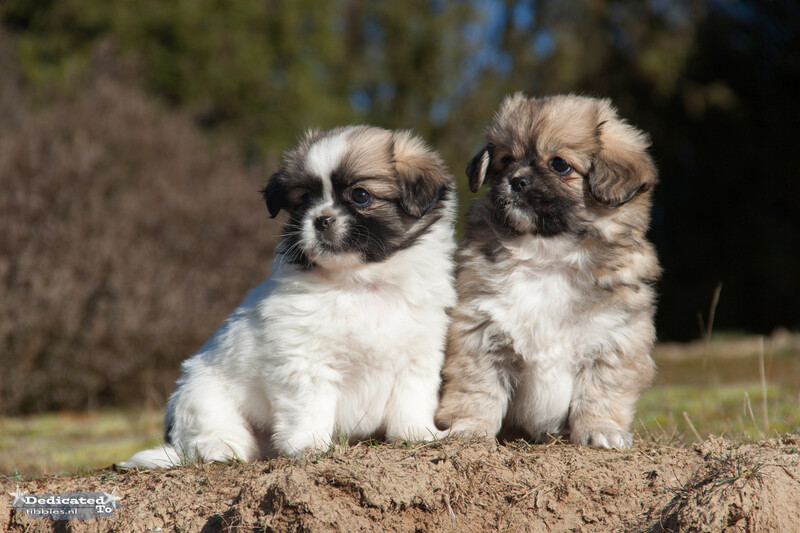 Most important for us is that a puppy will live a loving and happy life, breeding and showing must always have to come on the second place. 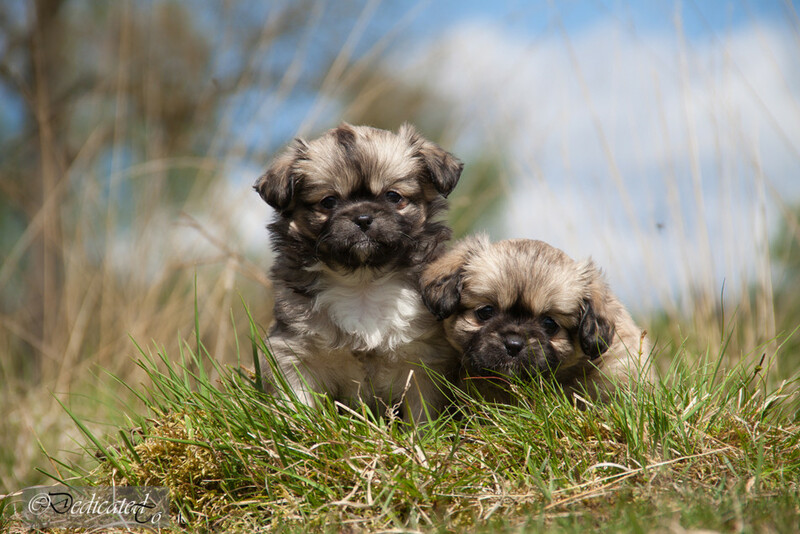 We only breed a 1 - 3 litters each year and we think the breeding of tibbie puppies is a miracle and we take excellent care for them. 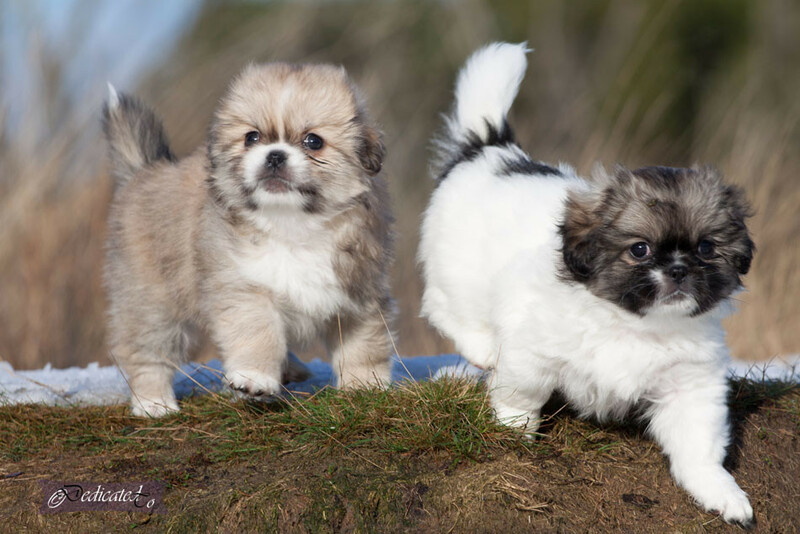 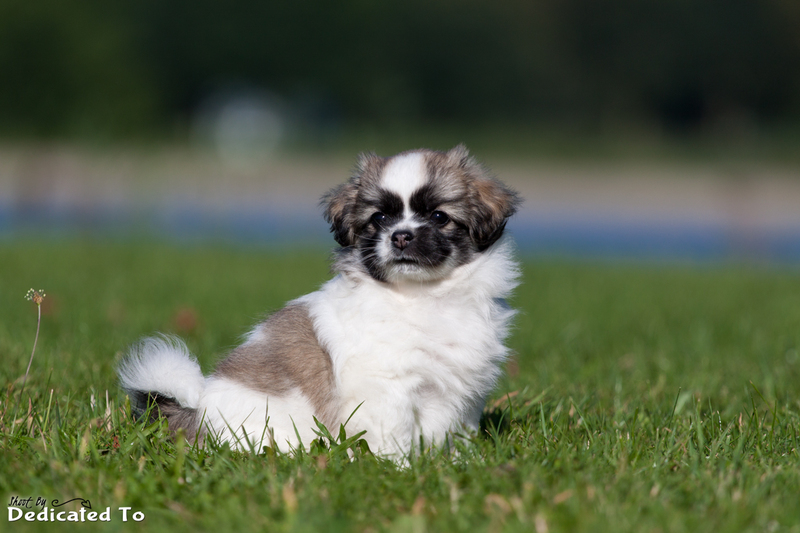 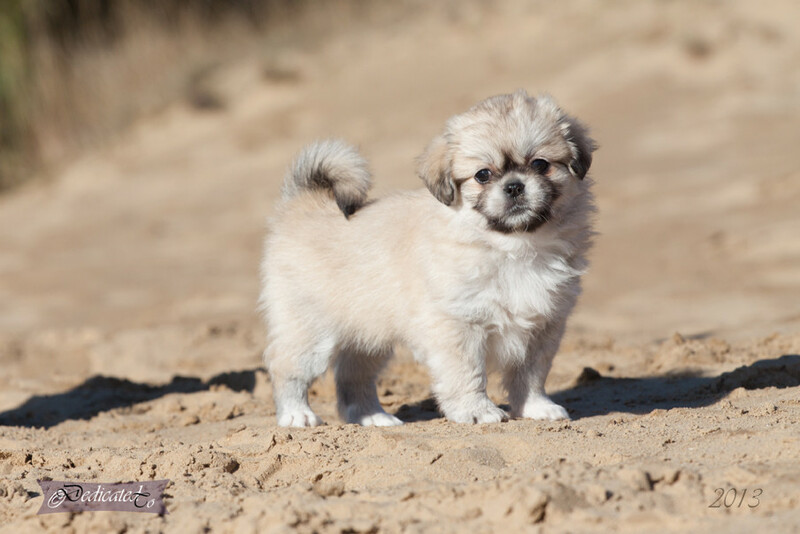 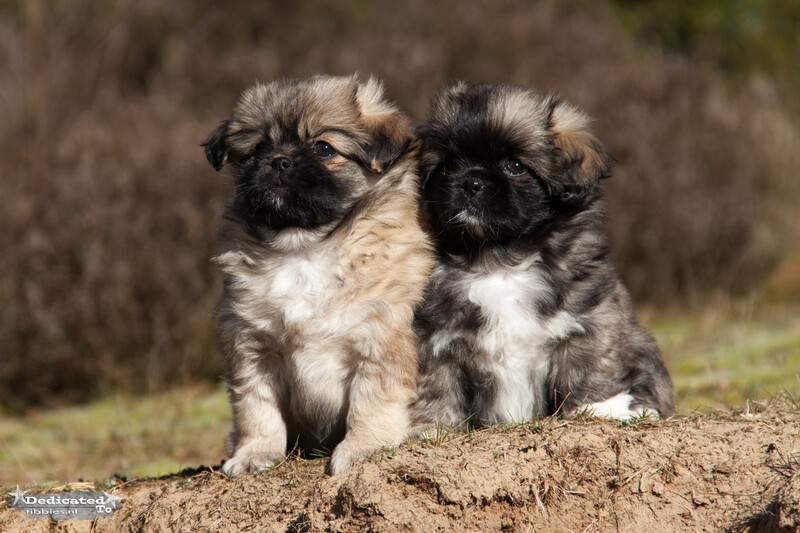 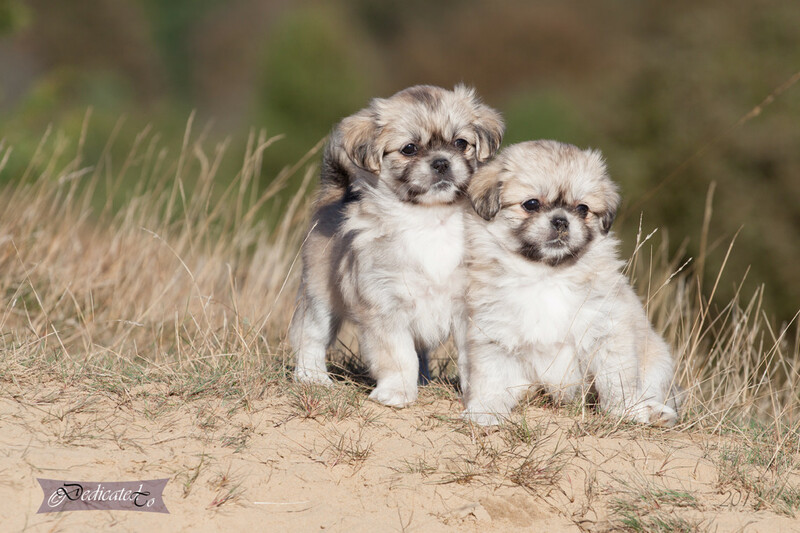 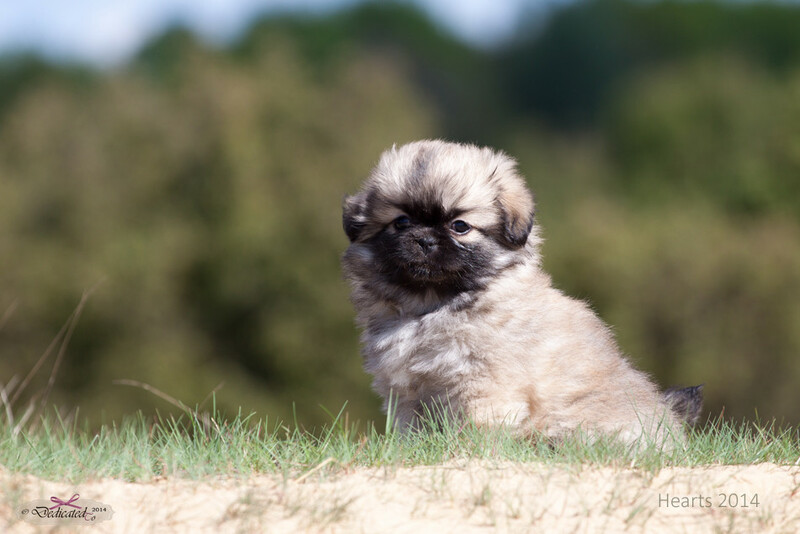 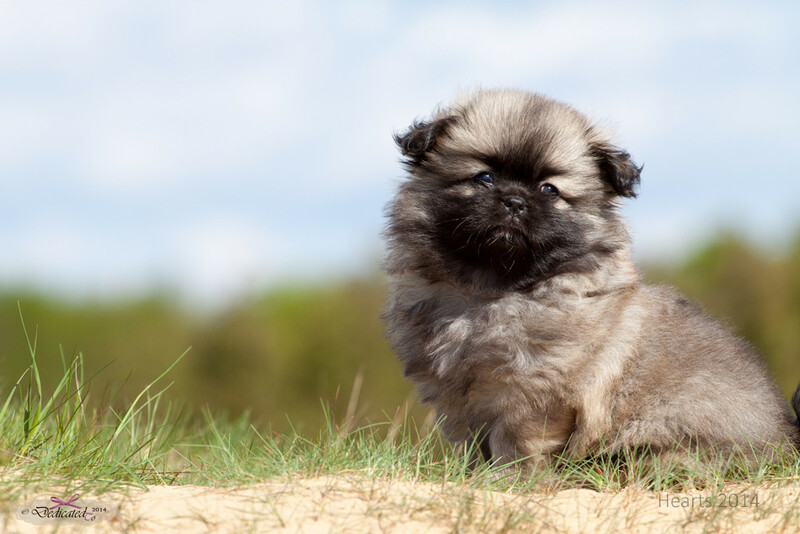 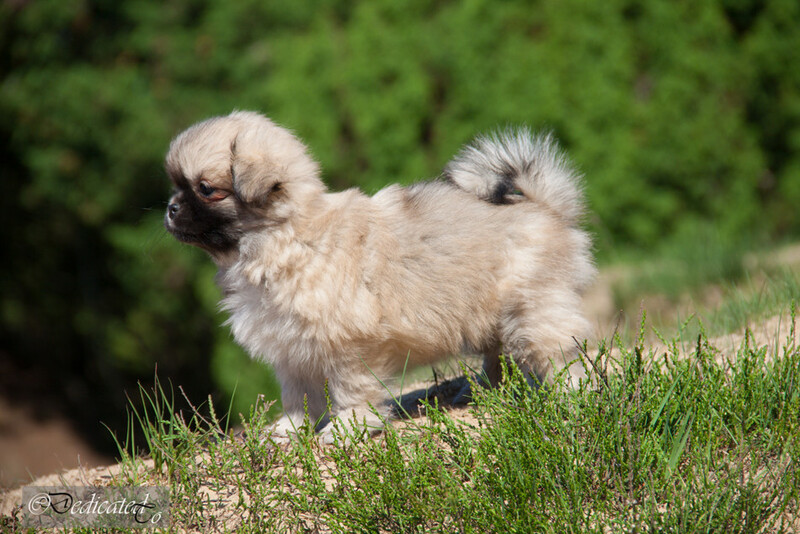 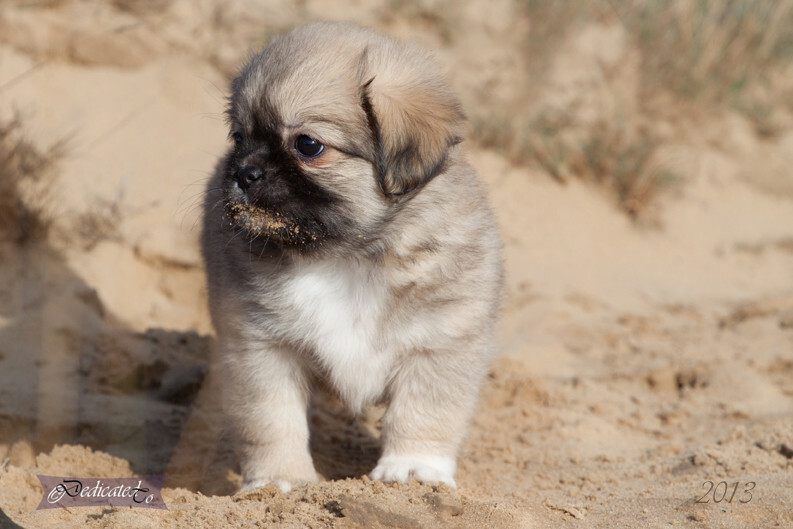 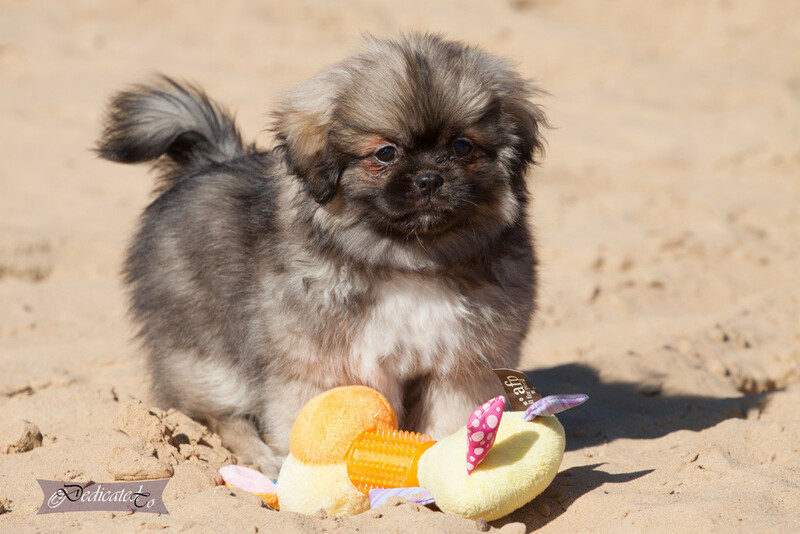 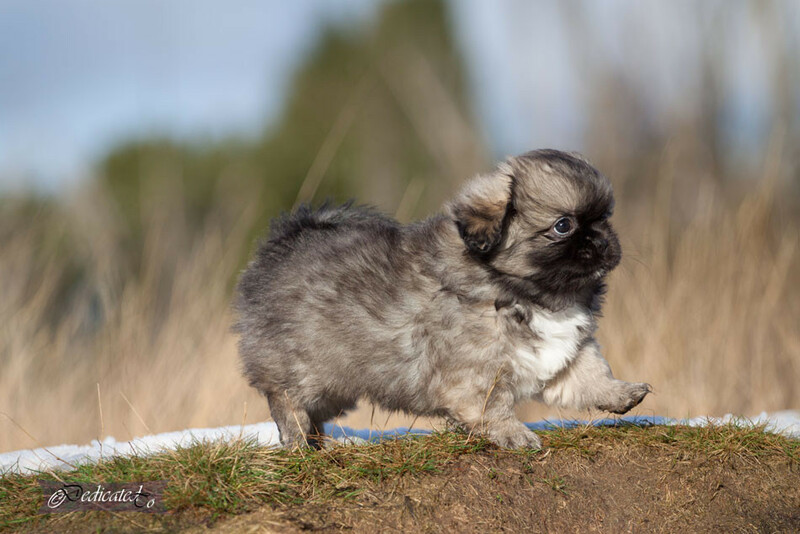 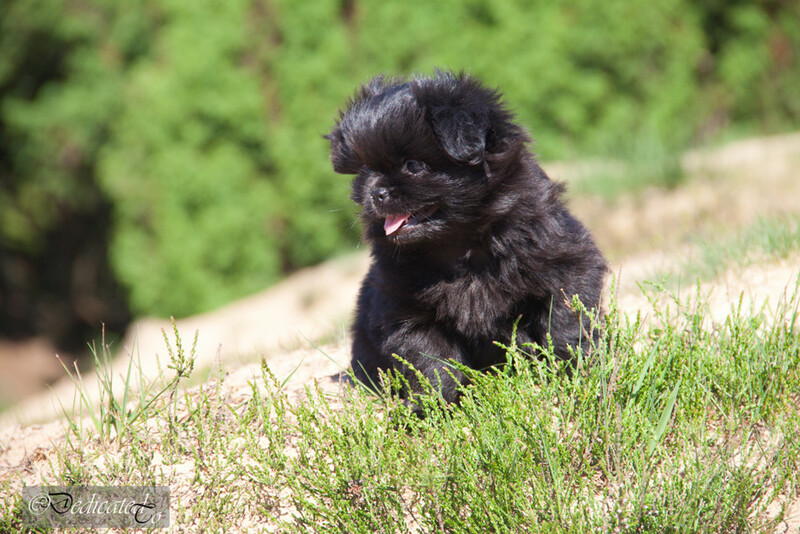 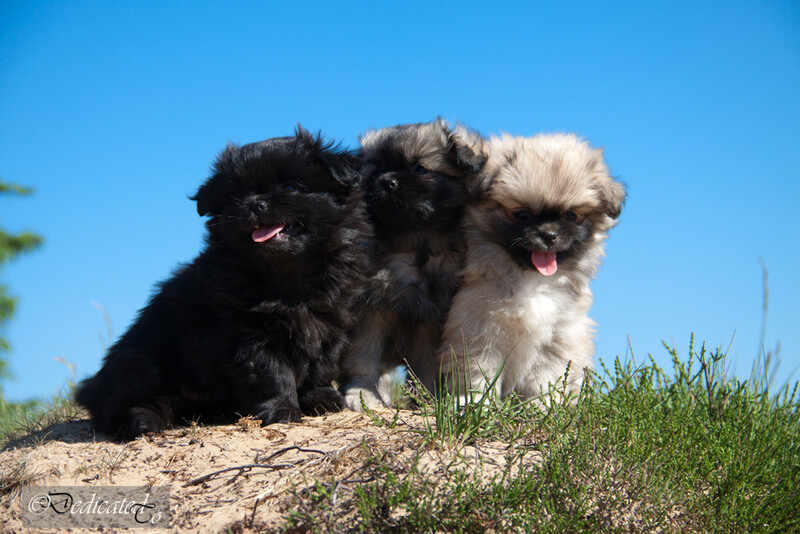 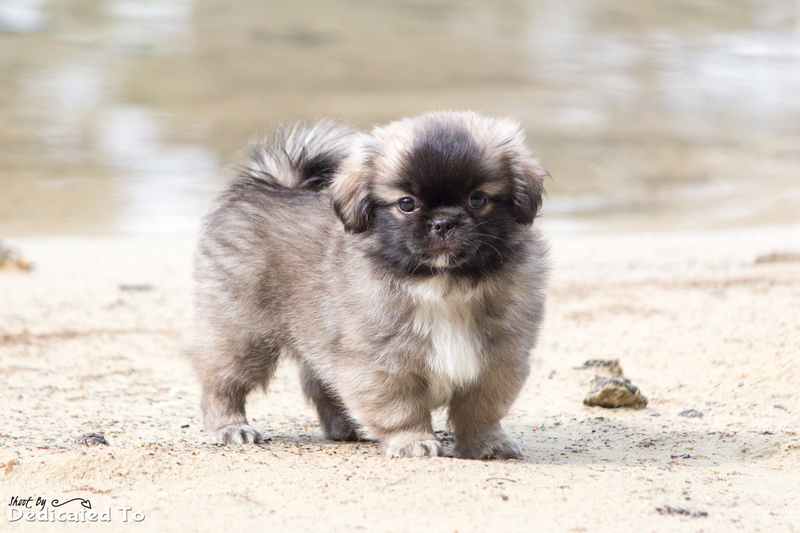 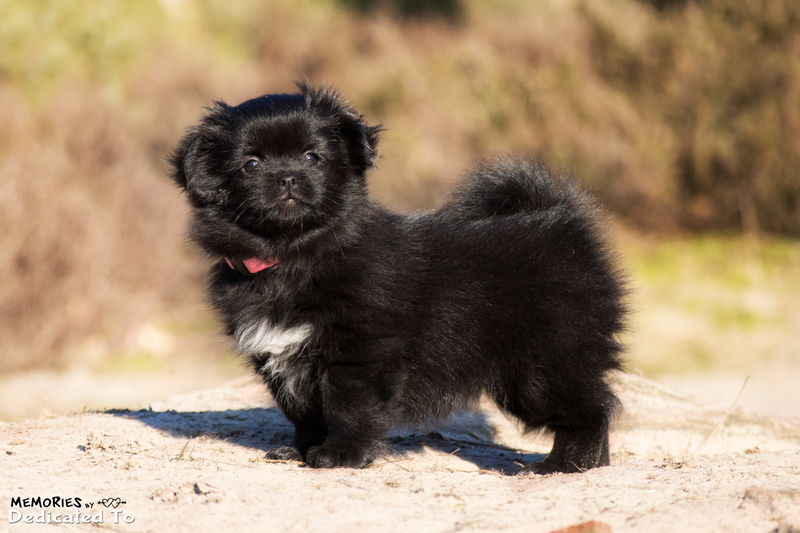 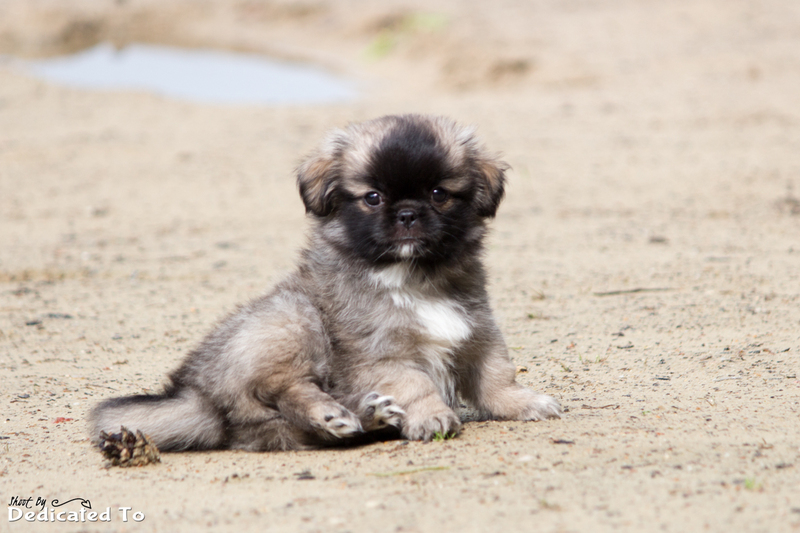 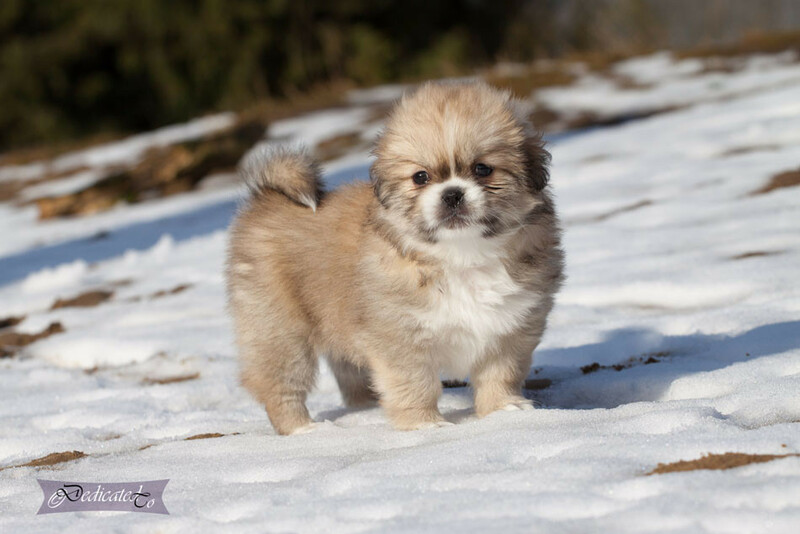 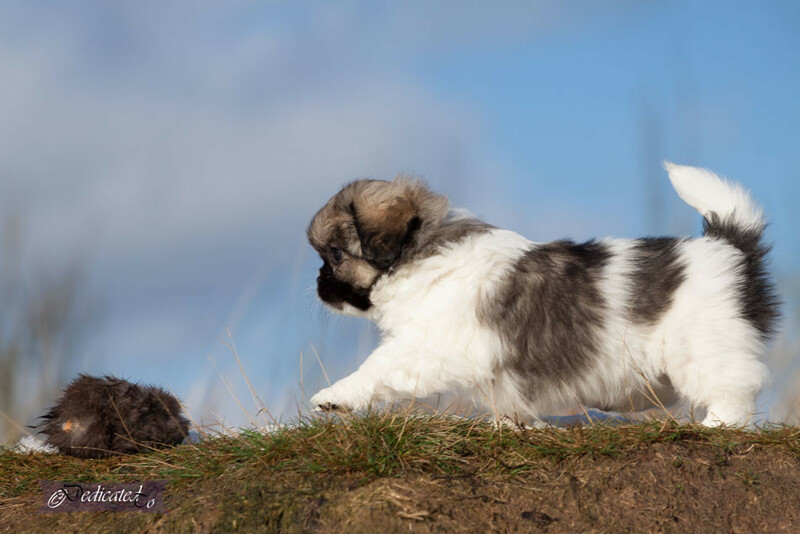 We are a member of the breedclub, Pekingese & Miniature Spaniel Club, in the Netherlands. 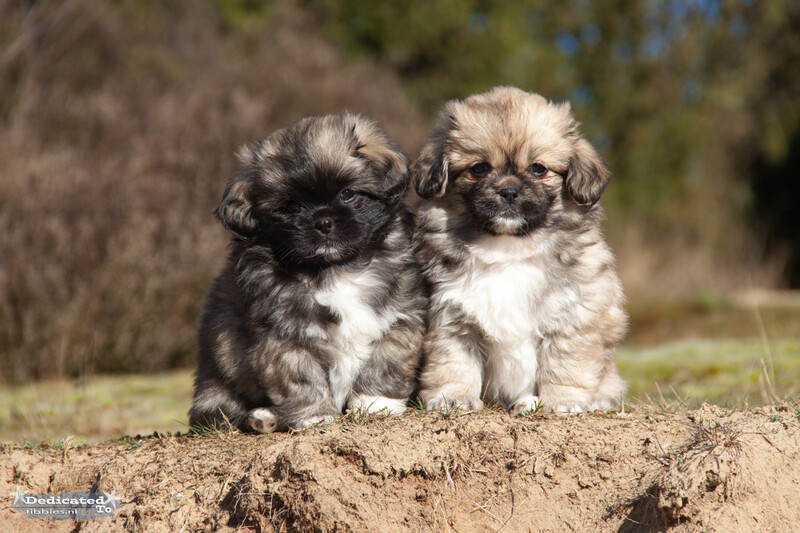 This means that we are breeding on their breed regulations. 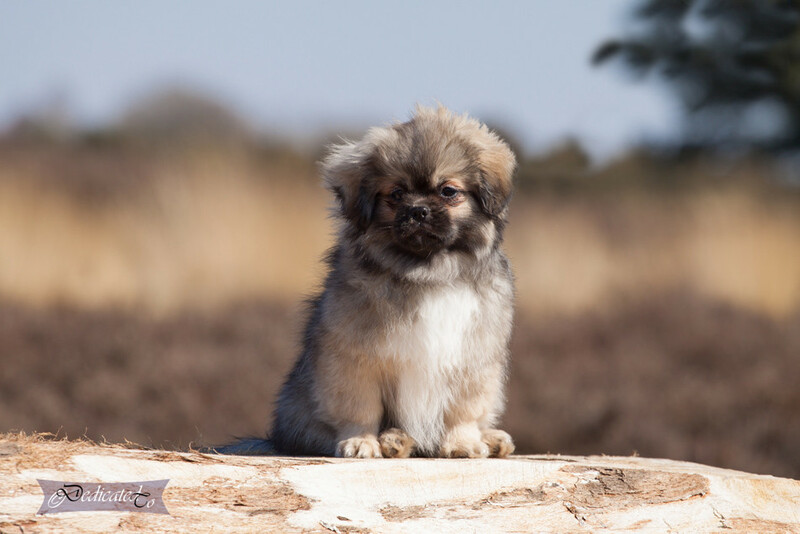 All our Tibbies that we use for breeding have showed with excellent results, have a report of healthy eyes, free from PRA and Cataract etc. 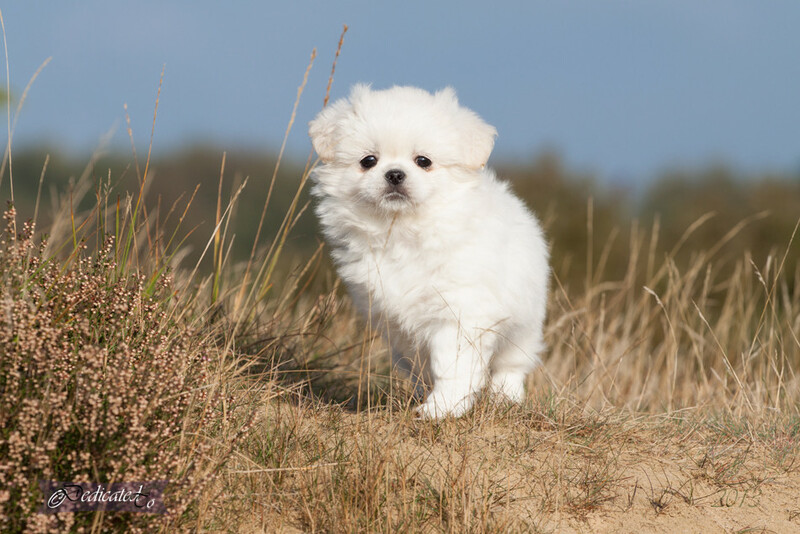 and the knees don't have any symptoms of Patella Luxation. 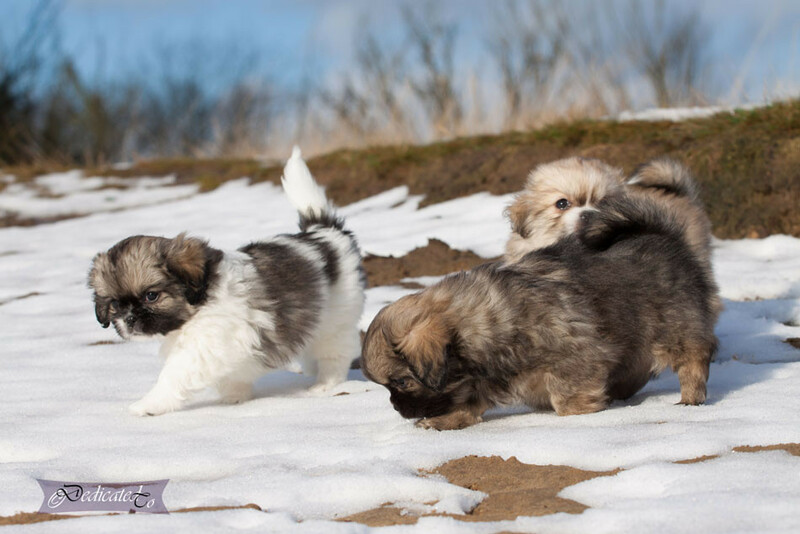 Our puppies are brought up in house in the living room, we also socialize them outside and we walk with the doggy-ride trough our village and the nearest city. 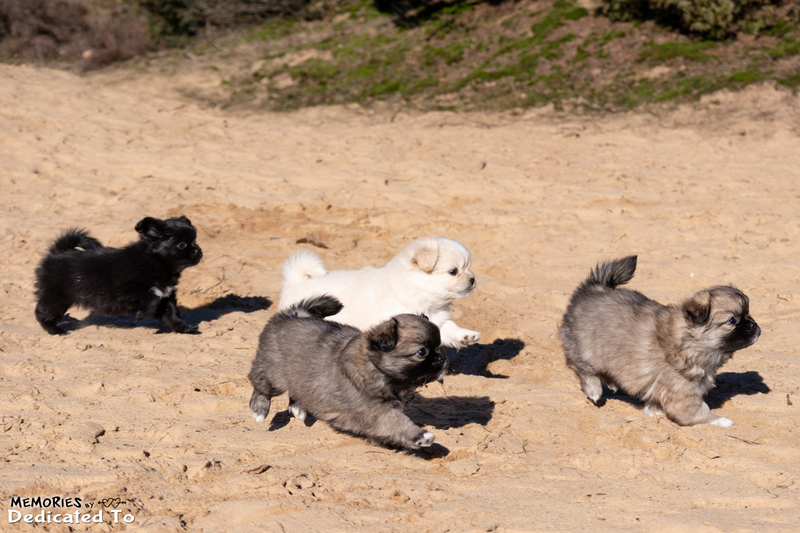 We also drive by car to friends with bigger dogs and other animals. 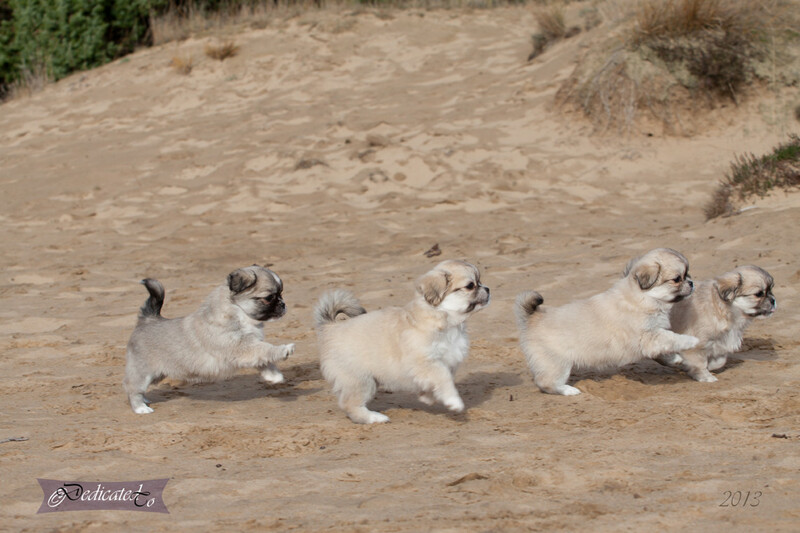 It's important for us that our puppies are ready to go into the big world and that they have a lovely life. 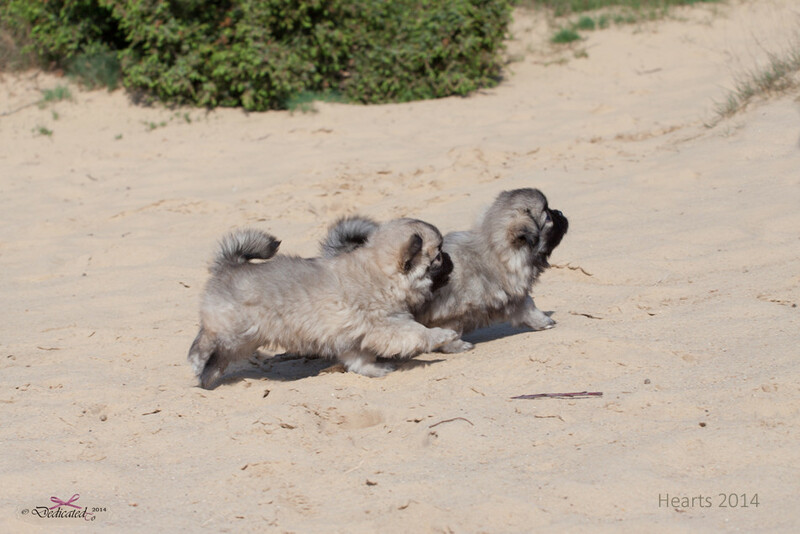 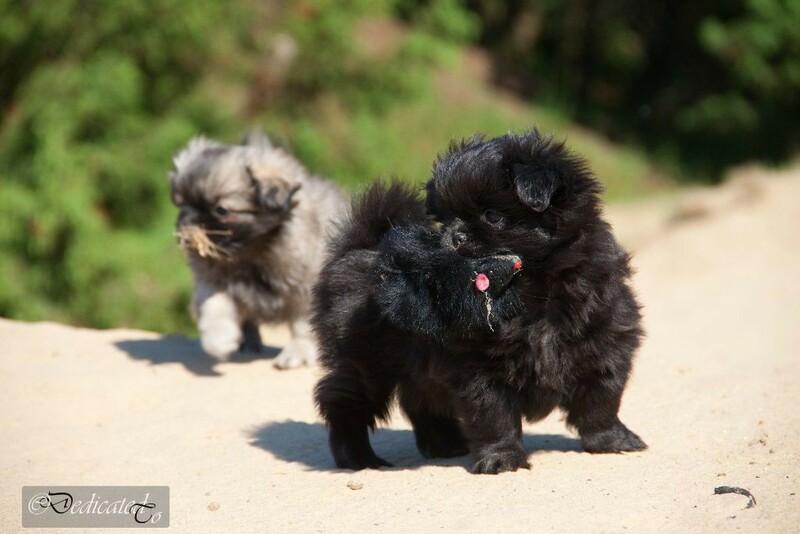 For our puppies abroad we start a little show training on table and on the leash. 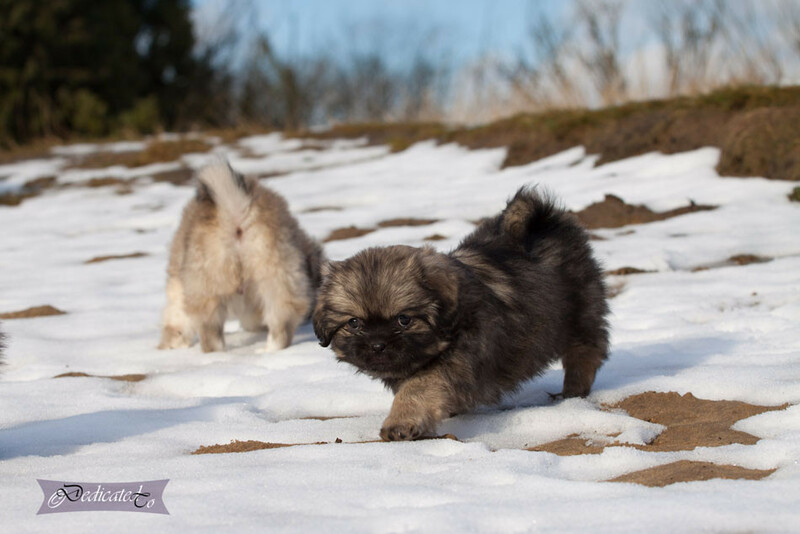 All our puppies get a FCI Pedigree (export) with official DNA-profile and microchip of the Dutch Kennel Organisation (Raad v. Beheer). 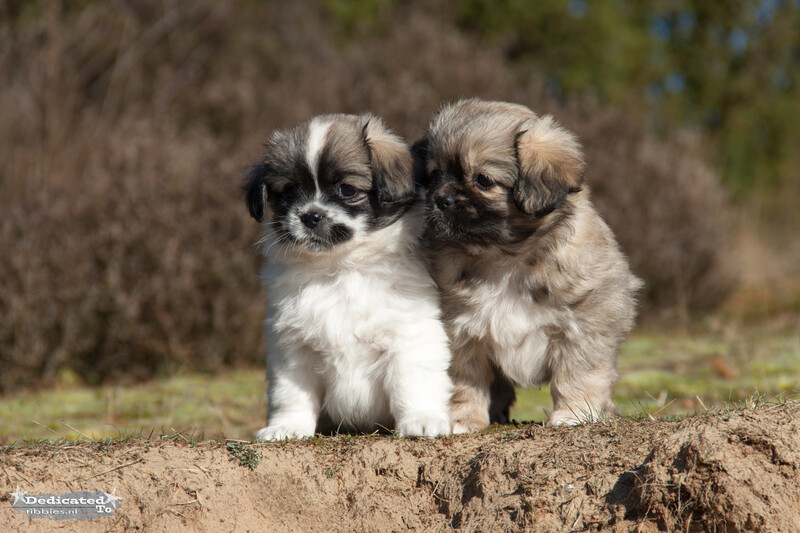 Our puppies are up-to-date with vaccinations and deworming when they are ready to move to their new owners, they will be several times checked by the vet and have an EU-pet passport. 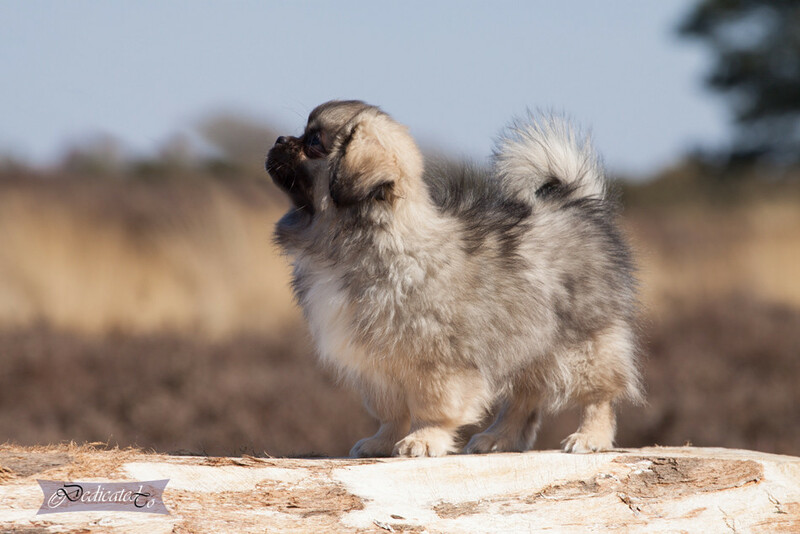 Please notice: We don't like to fly our puppies abroad alone like cargo, if you are interested in a puppy from our breeding please think about a trip to the Netherlands. 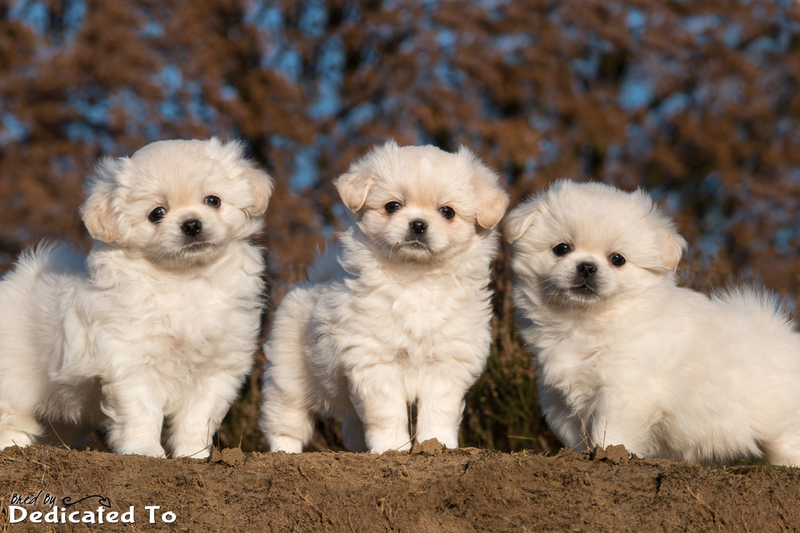 We know it's not always easy to come and collect but we don't usually fly them alone like cargo. 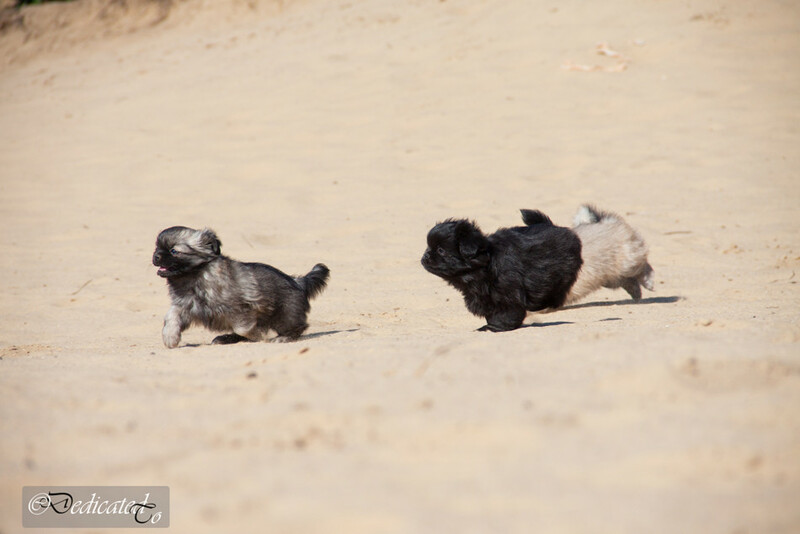 If you are interested in our next combinations or for more information, please do not hesitate to contact us ! 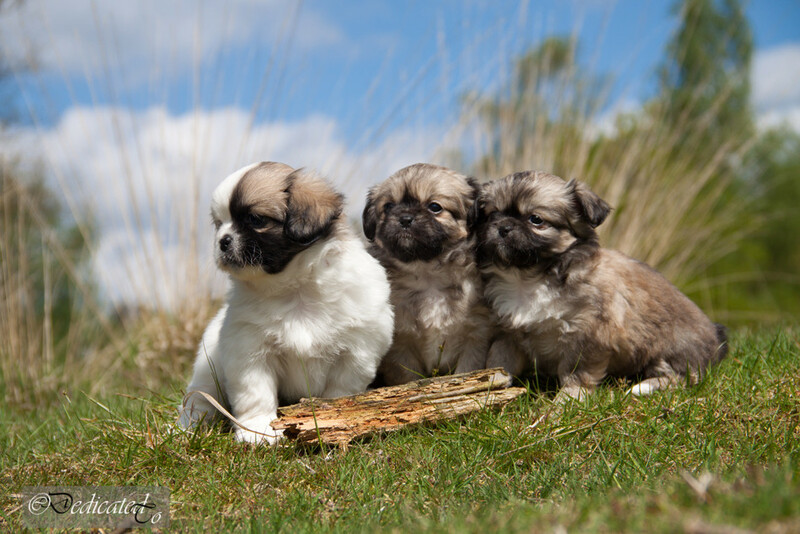 Below some photo's of puppies of our bred litters in the past years. 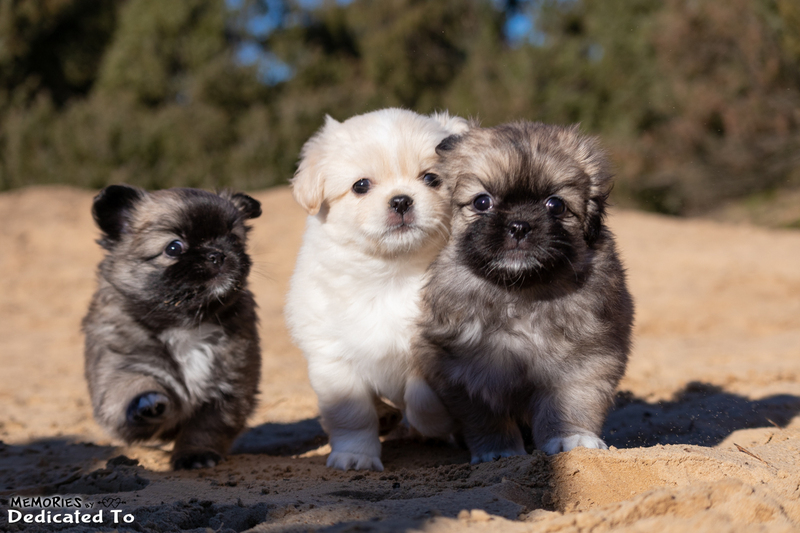 All puppies moved to their new owners and are not available!